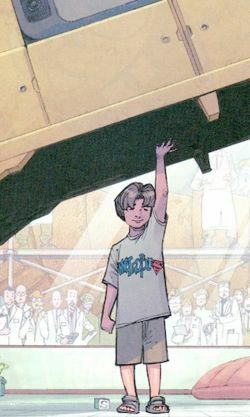 A young boy Clark and Lois named Christopher Kent lived with them for a short time in their home as their "son." In truth, Chris was the son of General Zod, who along with Chris, came from and evidently disappeared back into, the Phantom Zone. Fortunately though, because Chris, as Zod's biological son, was born inside a place in the Zone that acts as a normal world, Chris is immune to the 'ghosting' effects of the Phantom Zone, and is therefore somewhat free to live out his own life, trapped though he may be.